Coffee’s ready! Coasters and a cup of your finest java required for this sleek and modern piece of living room art. 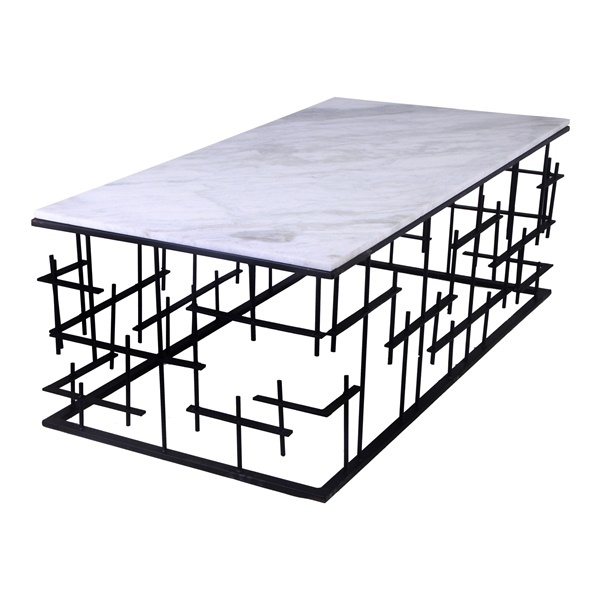 The perfect combination of style and function, the Matrix Coffee Table from Moe’s Home Collection features a beautiful slate-gray marble top, detailed and intricate bar-work on all sides and a heavy-duty iron base. The right coffee table can completely take over a room and The Matrix Coffee table proves it.